"It's [the Al-Yasser Cultural Forum's] goal is to strengthen the affiliation with Palestine and its history, and to adhere to the Palestinian identity, because this is a great educational responsibility. The forum's goal is also to return the glory to the fighting Palestinian girls and women such as Dalal Mughrabi and others who sacrificed their lives for Palestine, and also to provide information and knowledge to these female students during recesses..."
PA Minister of Education Sabri Saidam and Fatah Movement Central Committee member Jamal Muhaisen were also present at the ceremony. Palestinian Media Watch has documented that 5 PA schools are named after terrorist Dalal Mughrabi and dozens of other schools are named after other terrorist murderers. "From the outbreak of our revolution in 1965, the outlook of the Palestinian National Liberation Movement - Fatah - has been clear in its social aspect; it saw no difference between women and men, and Dalal Mughrabi who led men is testimony to this." Marking the 40th anniversary of Mughrabi's attack, Fatah posted a video praising her, focusing on the fact that the leader of the attack was a woman. Prosecutors investigating the slaying of a Holocaust survivor in Paris said the two suspects in custody targeted her because she was Jewish. The development in the investigation of the March 23 slaying of Mirelle Kanol came with the arrest of two men on Monday, Le Figaro reported, citing a police source. One of the suspects in custody, a 29-year-old man, was a neighbor of Kanol and knew her well, Le Figaro reported. In addition, Kanol’s son told the French news agency AFP that one of the suspects was a regular visitor of his mother whom she treated “like a son.” The son said the suspect had visited her that day. The prosecutor’s office reportedly has asked that the suspects remain in preventative custody. They will face possible charges of “murder related to the victim’s religion, real or imagined,” as well as aggravated robbery and destruction of property, AFP reported, citing judicial sources. French leaders and activists called for people to take to the streets to protest racism after prosecutors filed preliminary charges of murder with anti-Semitic motives Tuesday in the death of an elderly Jewish woman. Mireille Knoll, 85, was killed Friday in her apartment, which was then set on fire, according to a French judicial official. Francis Kalifat, president of the Jewish group CRIF, said Knoll was stabbed 11 times. Two men have been jailed in the case, according to the judicial official, who spoke only on condition of anonymity because he was not authorized to speak to the news media. They were handed preliminary charges of robbery, damaging property, and murder with anti-Semitic motives, he said. According to reports, Knoll escaped a notorious World War II roundup of Paris Jews, in which police herded some 13,000 people — including more than 4,000 children — into a stadium and shipped them to the Auschwitz death camp in Nazi German-occupied Poland. Fewer than 100 survived. Then aged 9, Knoll fled with her mother to Portugal, returning to France only after the end of the war. Paris Mayor Anne Hidalgo called on “all Parisians” to join a silent march Wednesday in memory of Knoll. Politicians across the political spectrum pledged to attend. Family members of Mireille Knoll, the 85-year-old Holocaust survivor who was stabbed to death and set on fire in her Paris apartment on Friday night, told Israeli media on Tuesday she had known one of her assailants, a Muslim neighbor, since he was seven years old. “My mother accepted everyone. Even the neighbor who murdered her, she has known since he was seven years old. When he was a boy, he helped her,” Knoll’s son Daniel told Army Radio. Every effort continued to be made for this young man who had broken into the country. At Brooklands College in July 2017, he was even awarded a prize as "student of the year". Hassan used the £20 Amazon voucher he received to purchase the first of the ingredients he needed to build his bomb. At every stage, the British state helped Hassan in every way it could. It took in a person who had no right to be in the country -- who indeed had entered the country illegally. It housed him, fed him, educated him and encouraged him. He repaid this by building a bomb at the home of his foster parents and trying to bring carnage to the rush-hour commuters on the London Underground. Now that Hassan has been tried, convicted and sentenced for his crime, the British people may be surprised at the priorities of the authorities who are meant to keep them safe. But at the final stage of that process, the state produced one final insult against the people of the country. Finally, Ahmed Hassan, let me say this to you. You will have plenty of time to study the Qur'an in prison in the years to come. You should understand that the Qur'an is a book of peace; Islam is a religion of peace. The Qur'an and Islam forbid anything extreme, including extremism in religion. Islam forbids breaking the "law of the land" where one is living or is a guest. Islam forbids terrorism (hiraba). The Qur'an and the Sunna provide that the crime of perpetrating terror to "cause corruption in the land" is one of the most severe crimes in Islam. So it is in the law of the United Kingdom. You have, therefore, received the most severe of sentences under the law of this land. You have violated the Qur'an and Islam by your actions, as well as the law of all civilized people. It is to be hoped that you will come to realise this one day. Please go with the officers. First, what business is it of a judge to make such a statement? Why should Mr Justice Haddon-Cave think that being a judge in a British court also permits him to expound on Islamic theology? And what if he is wrong in his theological pronouncements? What if it is not the case that Islam "forbids anything extreme"? What if a lot of British subjects who are not Muslims discover that this judge is telling an untruth? What if he is wrong, and that the cure for a jihadist like Ahmed Hassan is not in fact confinement with the Quran and Sunna? Mr Justice Haddon-Cave seems almost to suggest that "violating" the law of the Quran and Islam is an offense in itself -- one worth noting alongside the crime of putting a bomb on a packed commuter train. That his pronouncement was superfluous is obvious. That it is incorrect is at least equally so. But worst is that it will further erode the belief of the citizenry in their lawmakers. In his sorry and violent life, Ahmed Hassan had already proven the incompetency of Britain's border-police and the ignorance or naivety of its Home Office officials. His final gift to the state that allowed him in was to bring about the over-reach -- and presumption and lack of awareness -- of its judiciary. Liberals’ willful blindness to the anti-Semitism raging on the left is a dangerous game. Recently the national co-chair of the Women’s March, Tamika Mallory, attended a Nation of Islam event in which Louis Farrakhan called Jews his “enemy” and held them responsible for “this filth and degenerate behavior that Hollywood is putting out turning men into women and women into men.” Mallory had previously posted a photo of herself with Farrakhan and praised him as the “GOAT” or “greatest of all time” in her caption. When Mallory finally responded to critics, she cast herself as a victim and defended Farrakhan. Fellow Women’s March co-chairs Linda Sarsour and Carmen Perez also defended Farrakhan. While liberal groups (Jewish and otherwise) have indicated they’ll put up with the anti-Semitism in the name of left-wing social justice, some Jews declined to participate in the Women’s March-sponsored National School Walkout against guns this month. Fisher’s ugly smear, of course, plays into centuries of anti-Semitic libels casting Jews as disloyal or indifferent to the blood spilled by gentiles. Resorting to hateful stereotypes in response to accusations of anti-Semitism is, sadly, a bit of a trend on the left. When the Republican Jewish Coalition demanded the resignations of seven Democratic members of Congress who have met with Farrakhan while in office, one of the RJC’s targets, Andre Carson, responded by refusing to denounce the preacher of hate and asking Jewish Republicans to denounce Israeli Prime Minister Benjamin Netanyahu — playing the classic anti-Semitic dual-loyalty card. When CNN correspondent Jake Tapper broke the story that prominent leaders of the Women’s March were buddies with notorious anti-Semite Louis Farrakhan, a crisis broke out in Jewish-progressive circles. The awareness of growing anti-Semitism in progressive movements was nothing new for those of us who had been following trends in both the Black Lives Matter movement and the Women’s March since 2016, whose promotion of Linda Sarsour left a bad taste in the mouths of those of us for whom the concerns of these movements were consonant with our Zionism. In both instances, Jews who were self-proclaimed Zionists became persona non grata and were unwelcome at rallies and demonstrations dedicated to the self-determination of all oppressed or minority communities—everyone except for Jews. The Louis Farrakhan story changed things, perhaps because Farrakhan’s rhetoric is so obsessively hateful of Jews that it becomes an exercise in complicity to refrain from condemning it. Even in its tepid apology, the Women’s March leadership didn’t actually get around to condemning Farrakhan; they just stated that his ideas didn’t exactly “align” with their principles. I suspect this unenthusiastic response is because intersectional theory and Farrakhan’s message have a lot in common: They both promote the idea that life’s meaning can be found by dividing people into a hierarchy of virtue where those with histories of oppression have supreme value over those who belong to communities who have engaged in oppression historically. Unpacking this toxic doctrine and offering an alternative is necessary for fostering better relationships between communities involved in coalition-building in progressive spaces, both on the street and in the classroom. Intersectionality didn’t start out toxic. The term was originally penned in an essay in 1989 by Kimberlé Williams Crenshaw, a law scholar who created a single, all-encompassing term for what happens when individuals experience intersecting forms of discrimination. For example, if a woman of color wants to pursue action after being discriminated against, she cannot effectively do so if existing laws address race-based discrimination or gender-based discrimination but not both. Because we all have multiple identities and affinities, and any or all of them may be the source of active discrimination, intersectionality in a legal framework makes sense. It’s good advice, although not in the way that the group meant it. Listening to Farrakhan makes it abundantly clear just how deep his hate truly runs, not only towards Jews but also towards gays, transgendered people, and others he considers the enemies of God. Below is a small selection of Farrakhan’s public speeches throughout the years, documenting those beliefs. Just now he has cast a shadow over the Women’s March by making the people who have emerged as its leaders appear to be animated by a bigotry of the extreme and racist right. And he has damaged the political prospects of Rep. Keith Ellison, the deputy chair of the Democratic National Committee, his one-time follower, who has explained that long ago he turned against Farrakhan, and was, in any case, his follower for only a brief period; but appears to have been his follower for a much longer period; and has said he has no relation with Farrakhan, and has not seen him recently; except that Farrakhan himself has proclaimed just now to a mass gathering of his followers that, on the contrary, Ellison conferred with him as recently as 2015. All of which means either that Ellison has damaged himself by being Farrakhan’s follower, and by lying about it; or that Farrakhan has damaged Ellison by lying about a Farrakhan-Ellison connection that ended long ago. Farrakhan’s supporters can perhaps take comfort in the fact that, when all is said and done, he has wreaked a certain amount of damage on the American Jews, as well—not on the Satanic elders who control the world, but on the Jewish schoolteachers and social workers and other mere mortals who came under attack, during the 1980s and ’90s, from Farrakhan’s admirers and fellow-thinkers in a variety of cities. Jews who worked in black communities in those years sometimes found it necessary to give up their jobs and flee—chased away by a wave of mad accusations about Jewish plots to destroy black children. Then again, wasn’t this one more misfortune for black America, and not just for the fleeing schoolteachers? And all the while, Farrakhan has kept up his principal work, which is to fill the heads of the unlucky souls who fall under his influence with debilitating doctrines that will sooner or later damage their own prospects and hopes to do a bit of good for the world. And here is Stephanie Mills, beloved star of The Wiz on Broadway many years ago, standing up at Farrakhan’s rally just now to serenade the man and his aura—in testimony to the miserable truth that even Stephanie Mills has fallen under the spell of the Wizard of Oz. It does seem odd that no one ever seems to learn the lesson about Farrakhan. Is it naiveté that keeps his followers in a state of addled confusion? That is Keith Ellison’s explanation for his own period as an adept: He was not aware of Farrakhan’s doctrines. Or is it hatred? The man’s continued prominence is puzzling, either way. It is infuriating. It is pitiable. It is a little frightening. But it is not astonishing. Ours is the age of screwball Americana. 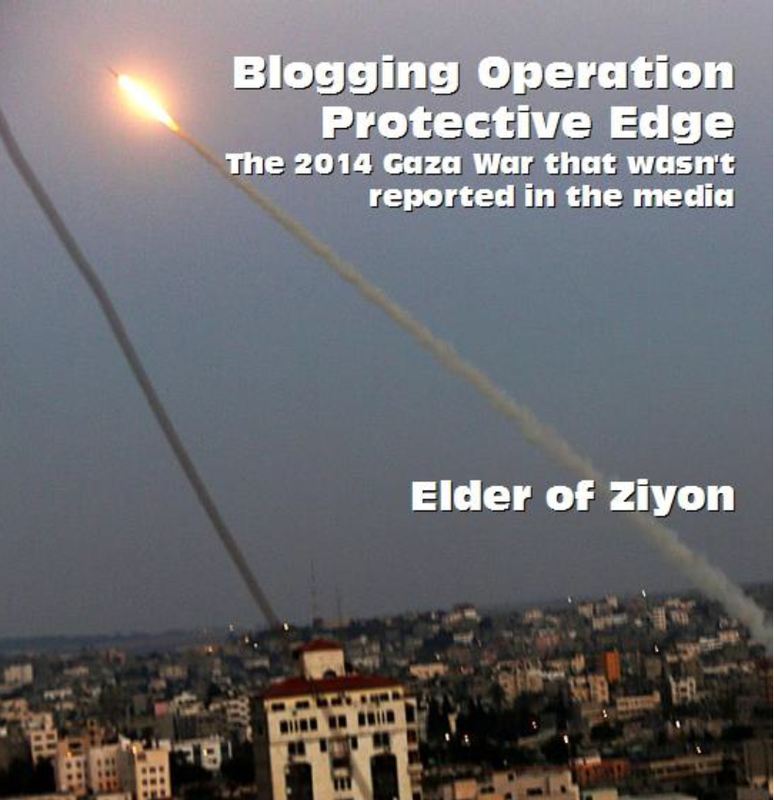 The Jewish mouse finally roared – and just look what happened. For the first time in its history the congenitally nervous Board of Deputies of British Jews, along with the Jewish Leadership Council, publicly denounced the leader of a mainstream political party over his support for antisemitism. They published a blistering letter yesterday denouncing the Labour leader Jeremy Corbyn for facilitating antisemitism in his party. Then they organised a demonstration outside Parliament. This was supported by dozens of Labour MPs along with other parliamentarians. These joined the Jewish community in demanding that the Labour party finally take action to purge itself of the antisemitism coursing though its ranks and which Corbyn has denied for so long. In response to this unprecedented public display of fury and distress by British Jews, Corbyn actually moved his position. For the first time he admitted that “anti-Semitism has surfaced within the Labour Party, and has too often been dismissed as simply a matter of a few bad apples”. 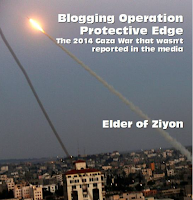 He even acknowledged that “newer forms of anti-Semitism have been woven into criticism of Israeli governments”. These admissions are of no small significance. Corbyn has finally understood, or perhaps the people closest to him have finally understood, that what the Jews are going on about can no longer be brushed aside with the contemptuous dismissiveness of the party’s previous responses. Someone in his circle has got the point that the revelations of the past few days – the three Facebook groups to which Corbyn belonged and which all teemed with vile antisemitic tropes, and then the repellent antisemitic mural whose removal he had opposed – were simply indefensible. Someone has understood that this issue is now calling into question the moral basis of the Labour party itself. A conference presided over by Corbyn in September in Brighton Beach deteriorated into an Israel-bashing fest. Labor Friends of Palestine, a lobbying group supported by roughly half of Labour’s lawmakers, tweeted at the start of the conference, “Labour Two-State solution will END the #occupation – our solution will be the final solution #FreePalestine #EndTheSiege.” The accompanying image was of the Temple Mount in Jerusalem behind barbed wire. Pamphlets distributed at the conference called for the expulsion of the Jewish Labour Movement. Jewish Voice for Peace, which supports the BDS movement against Israel and says its “main impetus” is to challenge “unjustified allegations of antisemitism... used to undermine Jeremy Corbyn’s leadership” made its big debut at the conference and has since used its Jewish credentials to defend the most vicious Israel-bashers. At no time did Corbyn speak out. Indeed, he has attempted to bury attempts to root out antisemitism. In 2016, he orchestrated an ineffectual investigation into the Labour Party’s “Jewish problem.” The Chakrabarti Inquiry, named after human rights activist Shami Chakrabarti, was labeled “anemic” by Jewish Labour peer Lord Parry Mitchell. Chakrabarti’s subsequent appointment as a Labor MP “smacks of a reward for preparing the report that the leadership wanted,” according to Mitchell and many others. The same distorted moral sense that make him incapable of recognizing, let alone fighting antisemitism within his own party, drove his support for the Irish Republican Army in the 1980s when it carried out terrorist attacks against innocent civilians; informs his choice to appear on Russia Today and bash the West, not the Putin regime; and blinds him to the iniquity of getting paid to appear on Press TV, the Iranian regime’s propaganda channel, which is banned in the UK for its role in filming the tortured forced-confession of Iranian journalist Maziar Bahari. Antisemitism, support for autocratic regimes, sympathy with Islamist terrorists, will taint the Labour Party as long as Corbyn is calling the shots. What Labour has become is a tragedy, first and foremost for Britain’s Jews, who once felt at home there. The last 48 hours have seen Jeremy Corbyn’s handling of the issue of anti-Semitism in the Labour party reach crisis point. 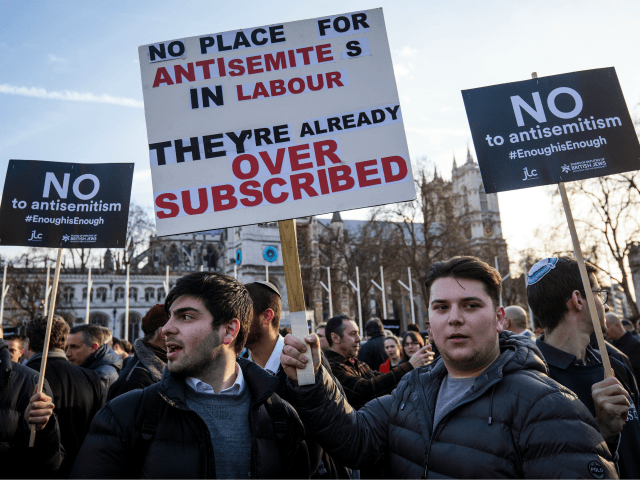 The patience of Jewish civil society has finally snapped, leading to an unprecedented statement issued on Sunday accusing the Labour leader of siding with anti-Semites “again and again,” and an extraordinary rally outside Parliament on Monday. 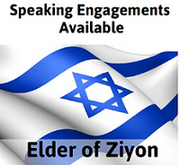 The issue has prompted the rarely outspoken leadership of Anglo-Jewry into highly unusual overt public action. Meanwhile, moderate Labour MPs, appalled by the revelation on Friday that Corbyn had defended an anti-Semitic mural, have voiced their anger and shame with a depth of feeling previously unseen. On Monday evening, with barely one day’s notice, an estimated 2,000 people converged on Parliament Square to declare “Dayenu.” The protest was organized by the usually understated Anglo-Jewish leadership. It was addressed by the Labour MPs Wes Streeting, Luciana Berger, John Mann and Louise Ellman. And it made front page news in several British dailies on Tuesday. Around 1,500 Jewish protesters gathered outside Britain’s Parliament on Monday, accusing opposition Labour leader Jeremy Corbyn of allowing anti-Semitism to spread in his party. Demonstrators at the Board of Deputies of British Jews (BOD) event were met with counter-protests by Jewish Corbyn supporters, leading to heated exchanges and minor physical confrontations. Members of the main protest shouted, “Shame on you” and “Scum” at the group of around 50 Corbyn supporters, who claim that the accusations of anti-Semitism against their leader are politically motivated. BOD President Jonathan Arkush led a chant of “Enough is enough,” as he demanded Corbyn take a firm stance against those accused of anti-Semitism in the party. “Jeremy Corbyn has failed to take meaningful action, creating space for racists,” he told the crowd. In the 19th century, socialists who mixed anti-semitic conspiracy theories with left-wing rhetoric were said to subscribe to the Socialism of Fools. "Wherever there is trouble in Europe, wherever rumours of war circulate and men's minds are distraught with fear of change and calamity, you may be sure that a hooked-nosed Rothschild is at his games somewhere near the region of the disturbances." So said Labour Leader, the newspaper of the Independent Labour Party, back in 1891. A mere 127 years later, the current leader of the Labour Party is in trouble for apparently backing a mural that, quite literally, featured a caricature of a hook-nosed Rothschild. Safe to say, antisemitism has been around in the Labour Party for a lot longer than Jeremy Corbyn. The mural at the centre of this latest row was painted on an East London street by American graffiti artist Mear One in 2012. It depicted a group of old white men playing monopoly on the backs of downtrodden, anonymous workers. Above them sat an all-seeing eye within a Masonic pyramid; behind was a dystopian industrial landscape with the slogan "The New World Order is the Enemy of Humanity". My documentary was originally planned to coincide with the 70th anniversary of the Battle of Cable Street, when trades unionists, Labour activists and members of London’s Jewish Community combined to stop a march through the East End by Oswald Mosley’s fascist Blackshirts. More than 80 years on, the real fascists these days are to be found on the Left. In 2007, there were plenty of people ready to accuse me of only raising the question of anti-Semitism as a convenient stick with which to beat Leftists and Islamists. Many of them are using the same argument today, claiming that the demonstration outside Parliament is just part of a vast, Right-wing and media conspiracy aimed at discrediting Corbyn. More than a decade ago, only a few brave Labour MPs would speak out on the subject, most notably Bassetlaw’s John Mann. Today, others are prepared to stand up and be counted, calling on Corbyn to make a proper apology over the mural and rid the party of the cancer of anti-Semitism once and for all. But we’re talking leopards and spots here. Corbyn might regret the ‘pain’ caused to the Jewish community, but he’s not going to change his beliefs, nor denounce his terrorist ‘friends’, nor kick visceral anti-Semites out of the party. The only good news is that 11 years after my documentary, the problem is at last being taken seriously. Let’s hope this week marks the beginning of the end of the hard-Left’s war on Britain’s Jews. Labour MPs have demanded that Jeremy Corbyn attend a meeting of the Parliamentary Labour Party this evening over the antisemitism scandal surrounding him, but it has been reported that he may not attend the meeting. In the meantime, a number of senior Labour MPs and figures have been sent out to address the media. The Deputy Leader of the Labour Party, Tom Watson said: “I am very, very sorry that people feel hurt by this and that is why I think it is right that Jeremy has expressed regret for it”. The Shadow Transport Secretary, Andy McDonald, said that Mr Corbyn “hasn’t got an antisemitic bone in his body”, and the Shadow Leader of the House mistakenly said that Jeremy Corbyn was “steeped in antisemitism”, presumably meaning the opposite. Includes complaints about various other Labour Party figures. Last night we rejected Mr Corbyn’s attempt to escape responsibility by apologising. Again breaking with tradition, the Board of Deputies called for a mass demonstration of British Jews and their friends inside and outside the Labour Party in front of Parliament, scheduled for this afternoon. We stand with them, and we commend the Board of Deputies for their clarity and courage. Still, observing the situation unfold, we should also remember that what we’re watching is a tragedy. As recently as the premierships of Tony Blair and Gordon Brown, British Jews could feel that radical anti-Semites and violent champions of Hamas and Hezbollah were confined to the Labour party’s radical fringe. 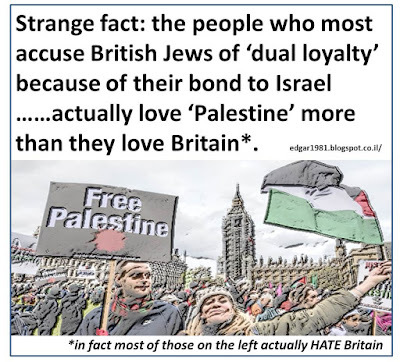 It seemed clear that British Jews, despite being the victims of long-standing and embedded discrimination, and targets of violence from some sectors of society, might feel welcome both in the Labour Party, the community’s traditional home, as well as by the Tories. A cynic might say that Corbyn is perfectly aware of these views. His political philosophy (such as it exists) can loosely be described as support for anything or anyone who opposes the West (especially the United States) in the name of “anti-imperialism.” As such, over a 30-year career in politics he did pretty much nothing except share platforms with extremists of various descriptions. Maybe he genuinely did never notice the vat of anti-Semitism he wallowed in for so many decades. As far as passing legislation or making a tangible difference: nothing. 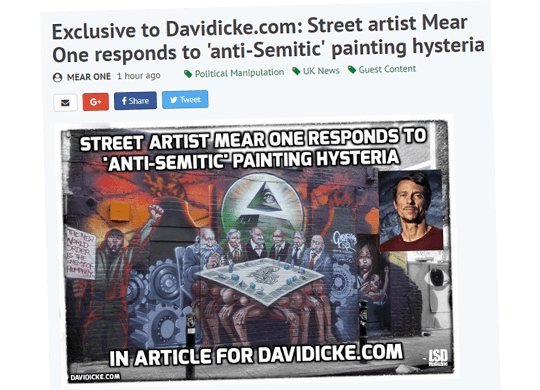 But a question naturally arises: Is a man incapable of looking at a blatantly anti-Semitic mural without detecting anti-Semitism really the best person to root out the nuances of anti-Semitic anti-Zionism? As you are aware, there has been a huge outcry against Labour leader Jeremy Corbyn for allowing antisemitism to spread in his party – including his own membership in antisemitic Facebook groups and a comment in support of an antisemitic mural. This led to a street protest yesterday, led by the Board of Deputies of British Jews, which although devoid of Israeli flags, seemed to get a strong message across. Enter extreme Israel hater George Galloway, who some would say is antisemitic, but would then find themselves sued by him. He has come out in support of Corbyn, and claimed the accusations of antisemitism are nothing more than a witch hunt because of his support for the palestinian Arabs. Note how Galloway actually intimates that the outcry against Corbyn will whip up more antisemitism. He also has a number of tweets and retweets on the subject, including this one by fellow hater Tony Greenstein (who happened to also be a member of one of the antisemitic Facebook groups with Jeremy Corbyn). 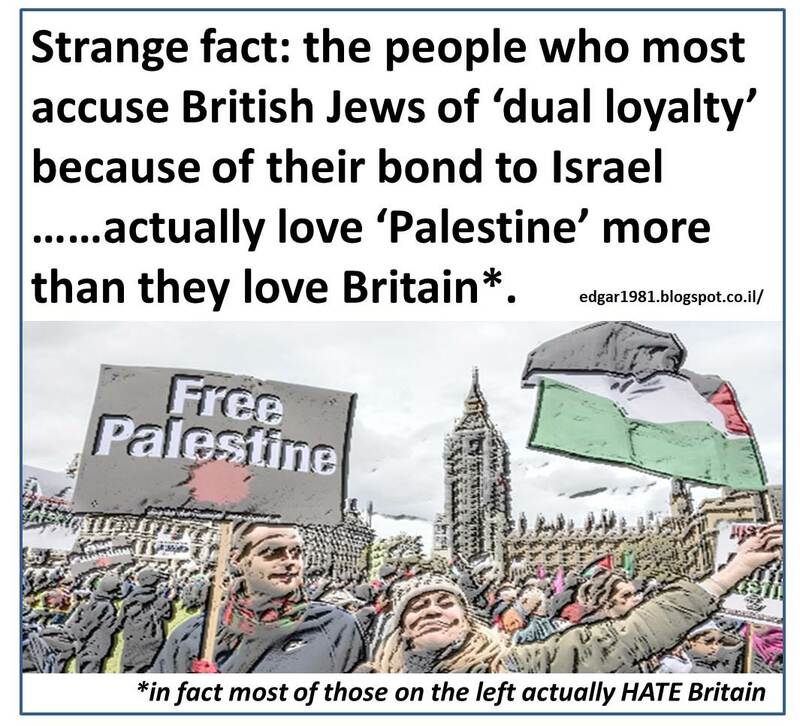 In other words, in nearly two years of BBC coverage of the issue of antisemitism within the UK Labour party, audiences have not once been informed of the existence of accepted definitions of antisemitism which have already answered the question of whether anti-Zionism – i.e. the denial of the right of the Jewish people to self-determination – is an expression of antisemitism. Moreover, it is obvious that even the high profile of the latest related story covered in this article did not prompt the BBC to come up with an accurate definition of its core issue. Given the fact that the BBC still does not work according to an accepted definition of antisemitism and in light of its own record on that issue and its repeated failure to inform audiences what anti-Zionist groups such as the PSC and the BDS campaign really stand for despite frequently showcasing their agendas, that is perhaps hardly surprising. But this insert does demonstrate once again is that the BBC is currently incapable of properly serving its funding public’s interests on this topic. Jewish leaders and thousands of their supporters took to London’s streets on Tuesday to voice their opposition to the rise of anti-Semitism in the UK Labour Party. The crowds included a dozen Labour MPs as the Labour leader issued a statement seeking an “urgent meeting” with Jewish leaders to discuss their concerns. Organised by the Board of Deputies of British Jews and the Jewish Leadership Council, speakers included the Labour MPs John Mann, Luciana Berger, Louise Ellman and Wes Streeting, as well as Haringey Council leader Claire Kober.